In a growing community, transportation is a vital component to finding and maintaining a job, getting to medical appointments and running essential errands. Transportation is one of the leading barriers preventing people from accessing vital services. South Sound 2-1-1 call center is a comprehensive information and referral line that connects people with essential health and human resources. 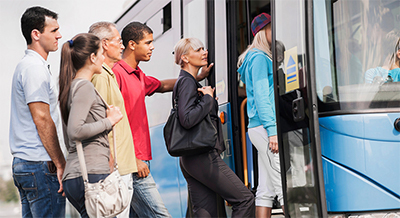 South Sound 2-1-1, in collaboration with community agencies and local transit agencies, helps to coordinate transportation resources throughout Pierce, Thurston, and Lewis Counties. Information and Referral Specialists can then help direct callers to transportation resources that best fit their needs. Local Motion - Paratransit, Inc.